At the end of a long and tiring day, there is nothing more satisfying than returning to your own home for some much needed R&R. Sadly, sometimes our homes are more source of stress than they are a comfort. Luckily, there are some simple tactics we can use to remedy this and make our homes as comfortable and stress-free as possible. Read the post below to find out what they are. It seems obvious, but once we have lived in a property for a while, it can be easy not to see the state that the decor has got into. In fact, we can become almost entirely blind to cracks that appear, wallpaper that starts to peel around the edge, or grouting that is beginning to be discolored. Of course, all of these things affect the sense of comfort in our home, albeit on a subconscious level. That is why it’s important to schedule in decor refreshes every so often. You don’t even have to go out and buy a lot of stuff to do this. In fact, some wall filler, the paint that was left over from last time you decorated, along with the willingness to give the entire space including the soft furnishing a good thorough clean is all it takes. Speaking of soft furnishings, getting these right can make a world of difference to how comfortable your home is. This is because it is not only the aesthetic appeal that matters but also the actual tactile nature of the fabrics and finishes you use in your home too. For example, you may adore the clean, minimalist look of a modern leather sofa. However, if it doesn’t provide you with the most comfortable area in which to relax and de-stress after a hard day work, a fabric option in chenille might be a better choice. Similarly, while slub-weave curtains and blinds can add pleasant opulence to a room, if you are looking for a more homely and relaxed feel then a rougher wool mix might do the job better. Ultimately, what I’m saying here is that you need to think about how fabrics feel, as well as how they look if you want your home to be a comfortable haven. Also, in addition to the decor, you have in your home, its’ ability to act as a stress-relieving rather than stress-inducing space depends on having enough room to breathe, and move. This means that clutter is something that needs to be avoided at all costs. Of course, decluttering sounds easy when you talk about it, but actually sifting through all of your items and getting rid of, or properly disposing of each one can be a hugely overwhelming task. Happily, there are people like Marie Kondo that are now coming up with systems and rules for decluttering your home. Her’s being based on whether the object or items in questions ‘spark joy,’ and is something that you want to take forward with you into your life. Be warned though, the emotional connection we have to material possessions can be a lot more powerful than you expect, so it is wise to be mentally, as well as physically prepared for the task ahead. It may seem like a small issue, but in the day to day running of a home, if you can’t find an item that you are looking for, it can be incredibly stressful and frustrating. Especially if you have to go out and spend more money on something you already have, but just can’t seem to locate. 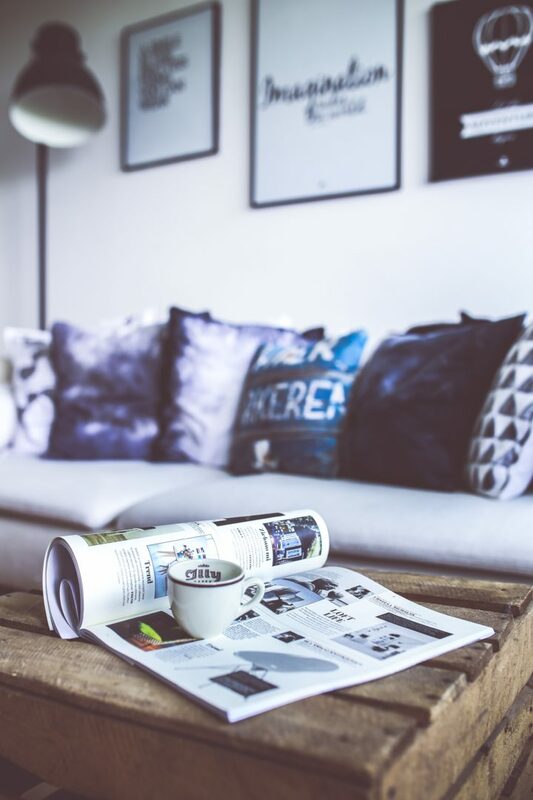 That is why not just being clutter-free, but also being organized in a smart way can make your home a more comfortable and less stressful space. 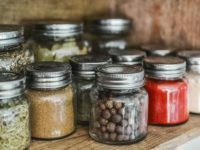 A smart organization tips that you may want to use for this purpose include storing things in clear boxes, or jars, so it’s much easier to see what’s inside. Of course, for this to be effective, you will need to store similar them together, and even label said containers for ease of use. Another area of home maintenance that can cause a lot of stress is cleaning. After all, tidying and cleaning need to be done regularly if your space is to remain a functional and pleasant environment in which to live. However, cleaning and tidying often seem like thankless tasks, no sooner than they are finished need to be done again. Of course, if you share your home with other people like family or even housemates and they don’t seem to be pulling their weight this will only compound the problem. With that in mind, setting up a system to make your home space as easy to clean as possible is a wise choice. Happily, by decluttering you will already be making moves to do this because the less clutter there is on show, the less there will be to attract dirt and dust in the first place. Other tactics you can use to help you achieve an easier to clean home include creating a schedule for all cleaning tasks, breaking them down into smaller chunks, a few of which can be done each day. In fact, by having a plan or grid that you can tick off, or even date when a task is complete, you can keep a much better track of what has been done and what’s still need doing. This being something that, even if your home isn’t immaculate al the time, can take a lot of the stress out of cleaning. You may not think anything would stress you out as much as a dirty living space would. However, there are other aspects to creating a comfortable living environment that you need to consider as well. One of these is the temperature control in your home. After all, if you are freezing cold or boiling hot, you won’t be able to get comfortable, and de-stress no matter how clean or well decorated the space is. With that in mind, most homes will need a temperature control system that is easy to use and reliable. For some homeowners, a central heating system will be enough, although others will need to install AC units that will sufficiently cool the air in their home to ensure it is comfortable living space, come summer. Of course, having such temperature control devices in the home means that you need to maintain them as well. Luckily, there should be plenty of local plumbers that can help you out if something goes wrong with your central heating, and you only need search air conditioning service near me to find an AC specialist that can help you install, or even maintain the units you have. Something that it is worth doing before the summer hits if you want your space to stay as comfortable as possible. Another area in the home that can cause considerable stress is security, or the lack thereof. In fact, this can be an issue both when the homeowner is away from the property, and when they are in residence. Happily, there are plenty of options you can use to boost your home’s security and give you less stress and better peace of mind in the process. One of these is to use window locks that mean it is almost impossible for anyone to gain entry to your home from the outside. Alternatively, many homeowners are turning to CCTV to give them additional peace of mind. You can even get units at that are designed to be sited outside of the home and have additional features such as audio. Something that can give the impression that someone is in, no matter how far away you are. Unless you are a home decor professional the chances are that not a lot of thought goes into the lighting you have in your home. In fact, most people just get by with what is there when they move in, perhaps changing the shade or even the bulb for a more powerful one at a push. However, light and the ability to control it can make a massive difference to how comfortable and relaxing your home is. It can even have a significant effect on mood and be used to help you de-stress. Happily, there is now an easy way to control both the amount of light and the tone not just in each room that you have, but in every single fitting as well. To do this, you need to install smart lights which are digitally connected to an app on your phone via a central hub. Then you will have complete freedom over whether to create cozy space for relaxing in after a long day, a chilled out area for meditation and stress relief or even a well-lit space for day to day family activities. In summary, if you want your home to be a comfortable place, you will need first to put in a little work. However, the pay off in terms of reduced stress and better quality of life for both you and your family are well worth it.